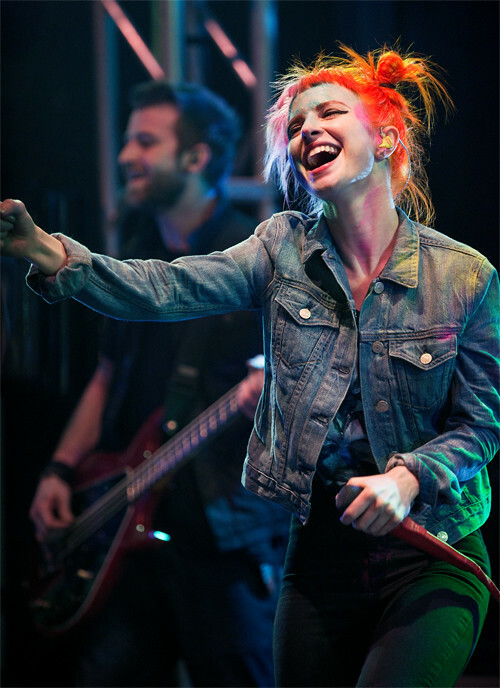 NEW PARAMORE ALBUM FINALLY RELEASED ALONG w/NEW VID FOR "STILL INTO YOU"
Paramore's Hayley Williams performs at last month's SXSW at The Belmont. Paramore hasn't released an album in four years; not since brothers and founding members Zac and Josh Farro left the group in 2010. Today, the upadated 2.0 version of Paramore finally released their much anticipated album released via Fueled by Ramen with a supporting tour beginning April 25th in Houston. Their Los Angeles date scheduled for May 1st are is already sold out. Also released today is the official music video for "Still Into You. " But you can listen to their new album, including 2 exclusive bonus tracks, only on Rdio HERE. And download your copy of the album now on iTunes HERE. Official music video for "Still Into You" off Paramore's new album out today.